Cooking gas is on very high demand now, as we know. But while taking price into consideration, it doesn’t seem to be economical. There comes the relevance of biogas. Biogas can be produced by us. 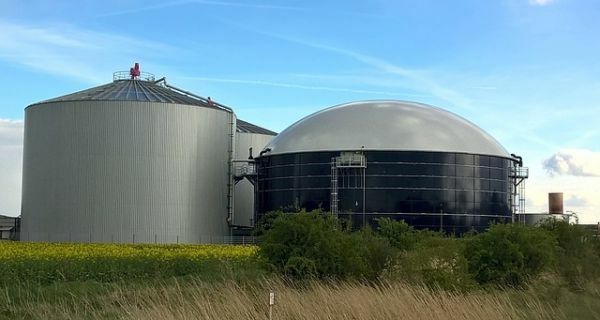 Here we talk about what is Biogas, history and origin of biogas, its advantages and disadvantages, types of biogas digesters and the process of anaerobic digestion. Biogas refers to a fuel gas obtained from the decaying of organic matter. This combustible gas is a mixture of methane and carbon dioxide formed by the bacterial decomposition of sewage, garbage or plant crops, green waste and manure in the absence of oxygen. The breakdown of organic matter in the absence of oxygen is called anaerobic digestion. This takes place in a large tank commonly known as digester. Inside the digester, bacteria convert the organic waste into biogas. Thus, biogas is produces by anaerobic digestion by anaerobic bacteria or by fermentation of biodegradable waste. This renewable source of energy has traces of hydrogen sulfide, ammonia, water, nitrogen and hydrogen. When gases like methane, hydrogen and carbon monoxide gets oxidized with oxygen, the energy released in this process allows biogas to be used as a fuel. Early in the 17th century, Jan Baptita Van Helmont found that flammable gases could be evolved from decaying matter. By 1776, Count Alessandro Volta concluded a correlation between decaying matter and the gases evolved. In 1808, Sir Humphry Davy determined traces of methane in biogas. So in 1859, the first digestion plant was built in Mumbai. In 1895, biogas was used to fuel street lights in England. Finally microbiology was developed as a science and by 1930, Buswell and many other scientist discovered anaerobic bacteria and the suitable conditions that promote the production of methane. In the modern world more and more countries are into using sophisticated system in biogas. Ecofriendly : Biogas is evolved through anaerobic digestion that means no oxygen is need for its production. This technically means that no form of combustion is evolved thus no green house gases are released. Thus biogas is environment friendly. Renewable : Biogas is a renewable source of energy. All the products used such as garbage, sewage, residues of crop, manure and green manure are and will be available in plenty. So biogas can be produced on a regular basis. Reduce soil pollution : All the products used in the production of biogas are ecofriendly and are biodegradable. Mixed with soil, it becomes manure and increases the fertility of the soil thus reducing soil pollution. Low investment : Biogas can be developed at home with a very low cost and investment. The raw materials used can be obtained free of cost. The gases evolved can be easily used for cooking and generating electricity. If biogas is compressed, natural gas can be obtained and used to power automobiles. Healthier generation : The byproducts of biogas generation can be used as organic manure (digestate) which is rich in nutrients. This can be used as a perfect supplement for chemical fertilizers thus reducing health complications. Employment : The biogas industry has created a large number of employment opportunities in many countries. Umpteen number of people are hired for raw material collection and biogas generation. 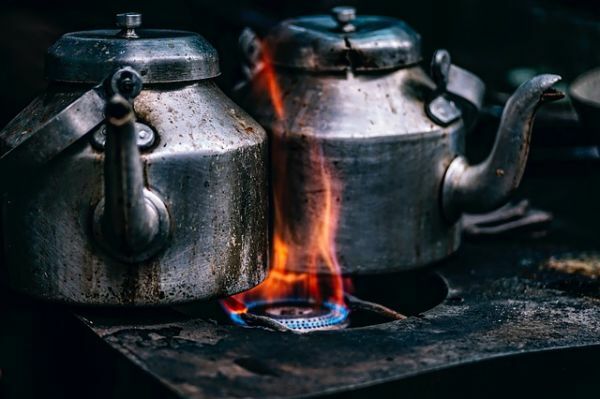 Healthy cooking alternative : Biogas is a healthy cooking alternative and it’s economical too. This helps women and children especially in the rural areas from firewood collection. Cooking on gas stove is always a healthier better option as compared to cooking over an open fire. Improves water quality : Anaerobic digestion reduces and deactivates pathogens and parasites. This in turn reduces water pollution and water born diseases. Reduces fossil fuel use : The uses of fossil fuels like oil, coal and gas can be reduced to a great extend as the use of biogas is increased. This has further helped countries like India and china as they have invested a lot in biogas plants and its development. Contains impurities : The biofuel used for automobiles contains impurities that can cause erosion to the metal parts. This increases the maintenance cost of the vehicles. This is more suitable for household purposes. Cannot meet demand : Biogas is in great demand because of its low cost. But unfortunately the technologies now are not that efficient so produce as much to meet the requirements. In most of the countries, the government is not willing to invest more on these biogas plants. Not suitable for all areas : Biogas can be used in areas where raw materials are available in plenty. Mostly these are available in plenty in rural areas. So it’s only practical to build biogas plant in rural areas. Not economically attractive : Since the raw materials used are cheaply available it is not economically attractive. Affected by weather : Like most of the renewable source of energy, biogas also has temperature effects. The ideal condition for bacteria to act is warm climate. So it is difficult to set up a biogas in areas where the climate is cold. Fixed dome biogas plants : This is a dome shaped with immovable gas holder and a displacement pit. The upper part of the digester stores the gas and the waste is displaced in the displacement pit. When the volume of the gas increases, the pressure increases. Floating drum biogas plants : This consists of underground digesters and movable gas holders. The gas gets collected in the drum which is above the digester. This moves up and down according to the gas collected. Balloon plants : This consist of a rubber bag or balloon and it combines the digester and gas holder. The input and output is connecter to the skin of the rubber bag. The process of anaerobic digestion can be divided into 4 stages like hydrolysis, acidogenesis, acetogenesis and methanogenesis. Hydrolysis : In this stage the organic compound is degradated into simple form so that micro organisms can utilize them easily. The rate of hydrolysis depends on lot of factors like organic substance shape, surface area, size and biomass. Acidogenesis : This is the second step and it involves fermentation. This is one of the quick steps in anaerobic digestion. Here the anaerobic microbes further degradate the products into simpler compounds like volatile fatty acids and acetic acid. Acetogenesis : The volatile fatty acids and acetic acid produced in acidogenesis cannot be utilized by methanogenesis, so it is further simplified into acetate and hydrogen. This process of conversion is known as acetogenesis carried out by acetogens which are sensitive organisms. Methanogenesis : This is the last step in anaerobic digestion. Here the methanogenic bacteria convert acetate to methane and carbon dioxide. This is an important pathway in yielding energy. Methanogenic growth is of key importance in anaerobic processes. The methanogens and acetogens share a mutually beneficial relationship which maintains equilibrium in anaerobic process. To conclude, biogas technology can be used in different ways to contribute to its development. Farmers can use it as a substitute for chemical fertilizers for developing healthy crops. Industries can use it for generating light and heat. Municipalities can use this to solve problems like waste disposal and waste water treatment. The national government can use this for the overall development of the country like reduce deforestation, increase agricultural productivity and reduce the use of chemical fertilizers.